Steaming fish is never dull when it contains ginger. 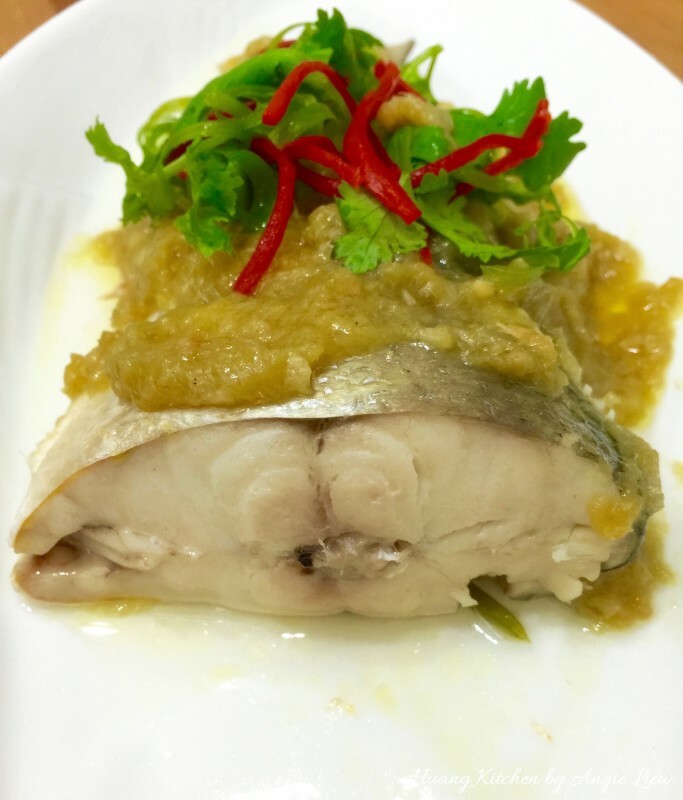 An aromatic in Asian cooking, the ginger is incorporated into a spice paste in this ginger sauce steamed fish to build a deep, warm and slightly spicy flavour. 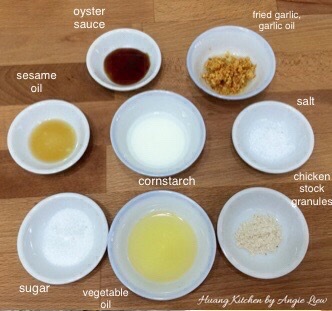 Oyster sauce and toasted sesame oil add the final touches to this healthy steamed fish dish. 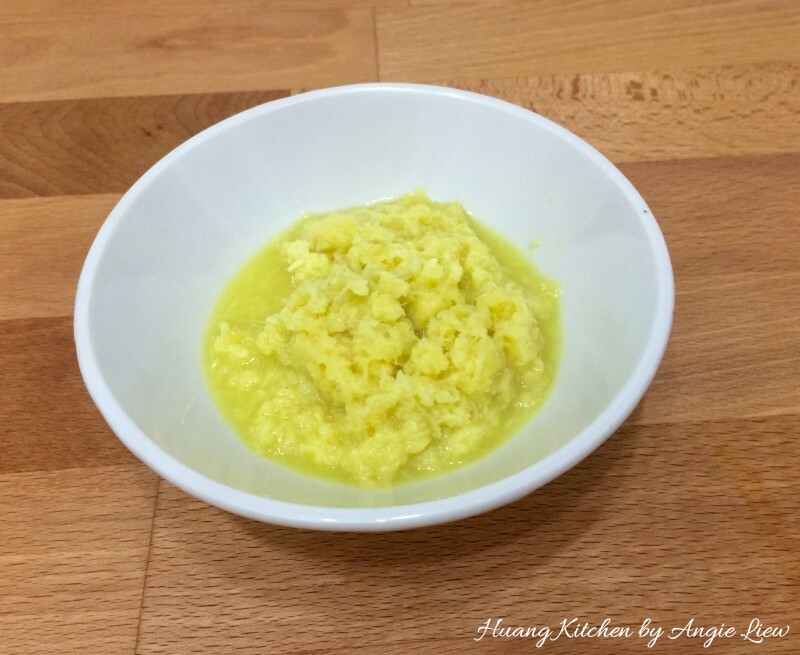 Truly a simple dish that is packed with flavours. 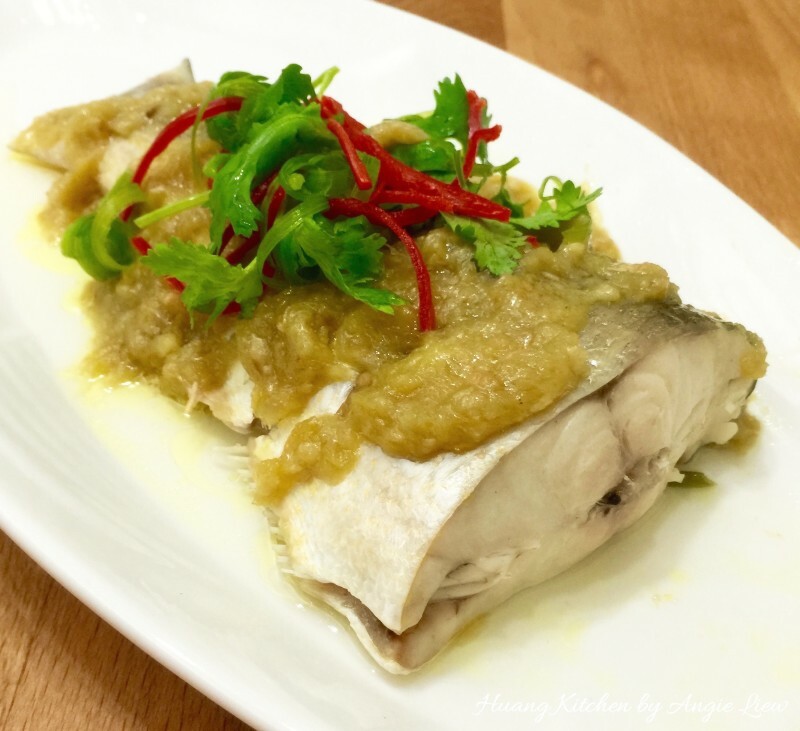 Ginger sauce steamed fish is an Asian approach to low-fat cooking. Aromatic, pungent and spicy, ginger adds a special flavour and zest to this simple yet flavourful dish. 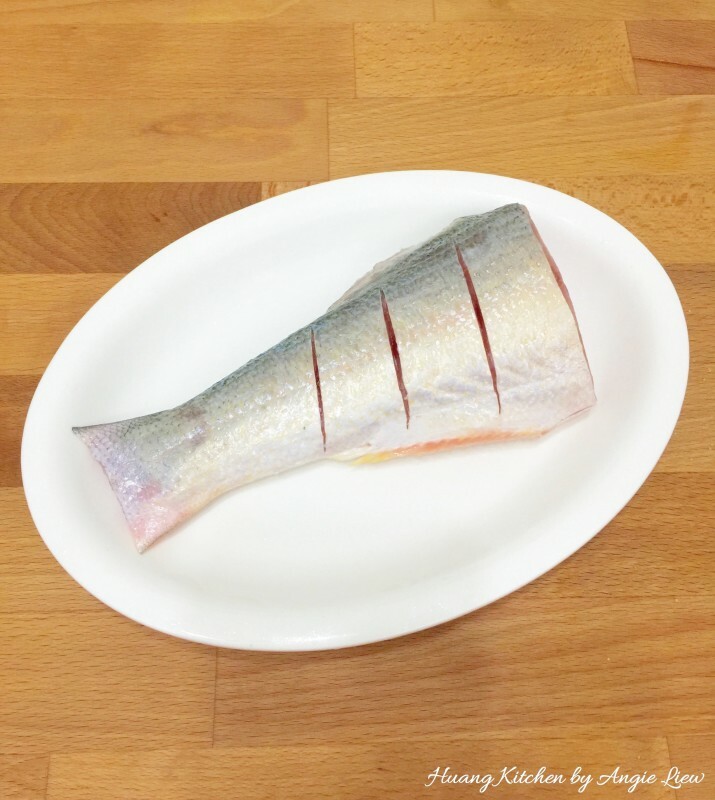 Rinse fish with cold water, pat dry and make small slits on the fish. Line spring onion on steaming plate and top with the fish. Prepare to steam the fish by first boiling some water in a steamer. Then add in the fish. Steam the fish over high heat for 10 to 15 minutes or until cooked. 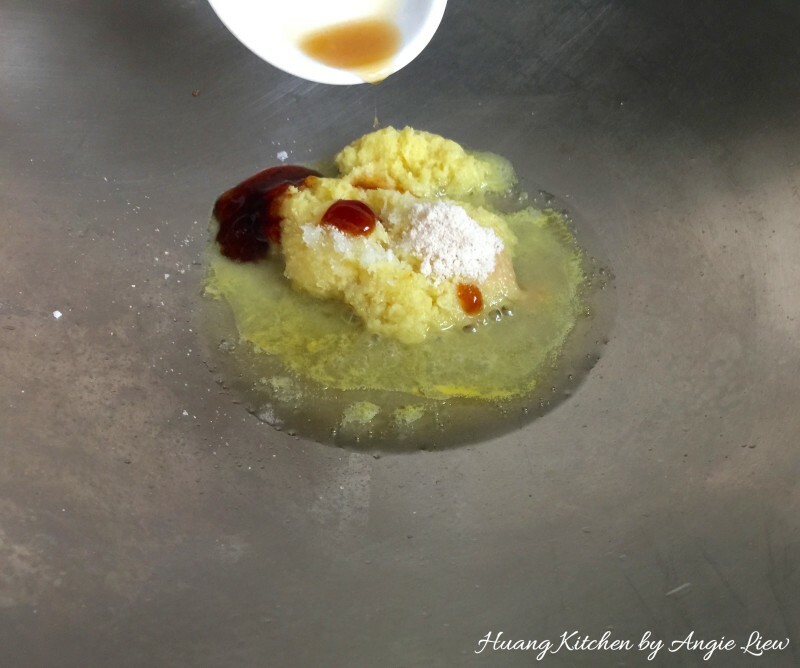 While the fish is steaming, prepare the ginger sauce. Grate or ground the fresh ginger. Prepare all ingredients needed to make the ginger sauce. 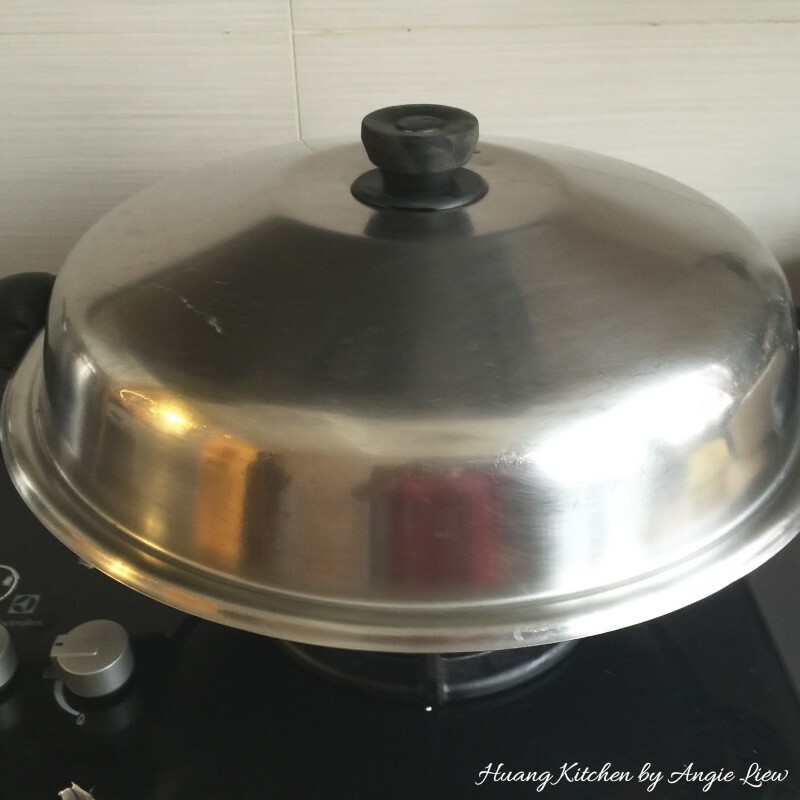 Heat up oil in wok and add in the ground ginger. Then add in all the other ginger sauce ingredients and stir fry till well mixed. Add in water and cook until the ginger paste starts to boil. Then add the cornstarch solution. 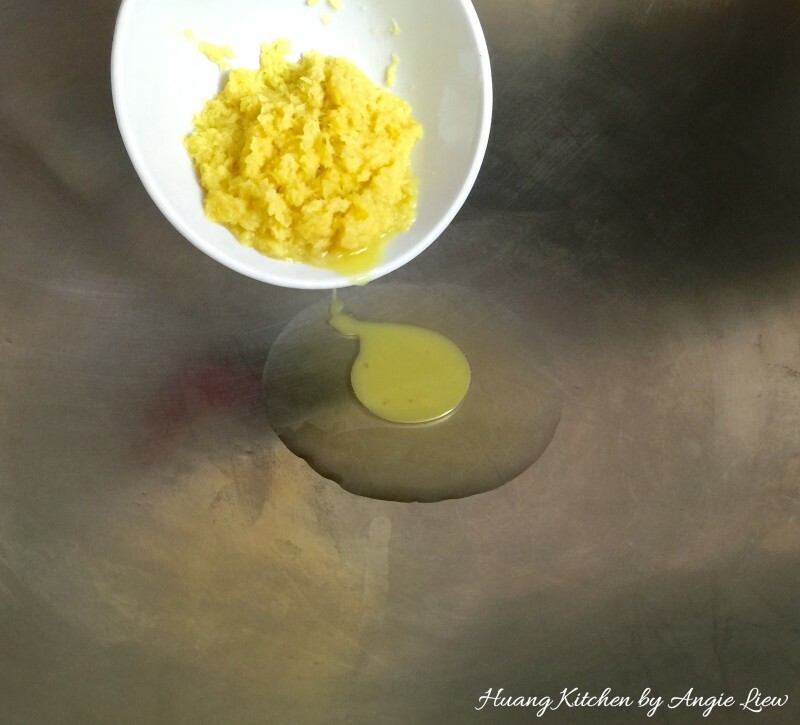 When the ginger paste has thickened, dish it up into a bowl and set aside. 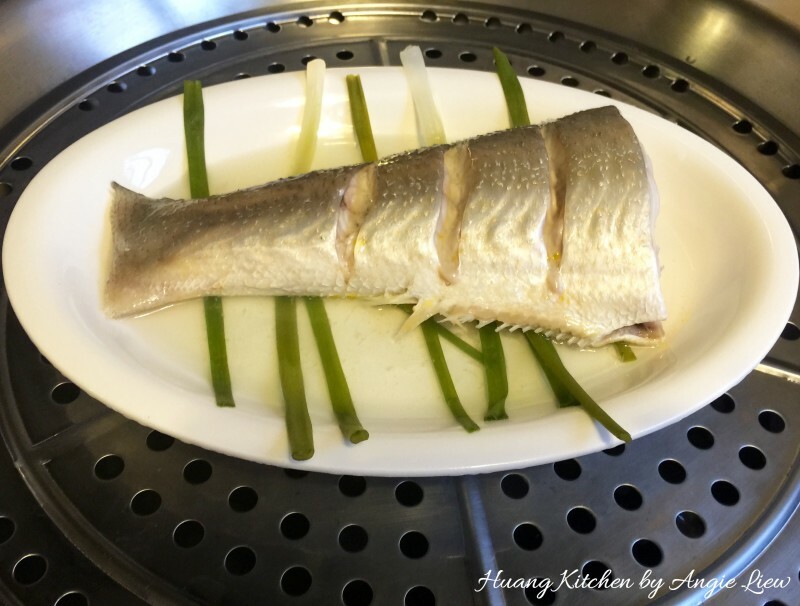 When fish is cooked, remove fish from steamer. Discard the liquid and spring onions from the steamed fish. Top the fish with the cooked ginger paste and sprinkle with fried garlic and garlic oil. 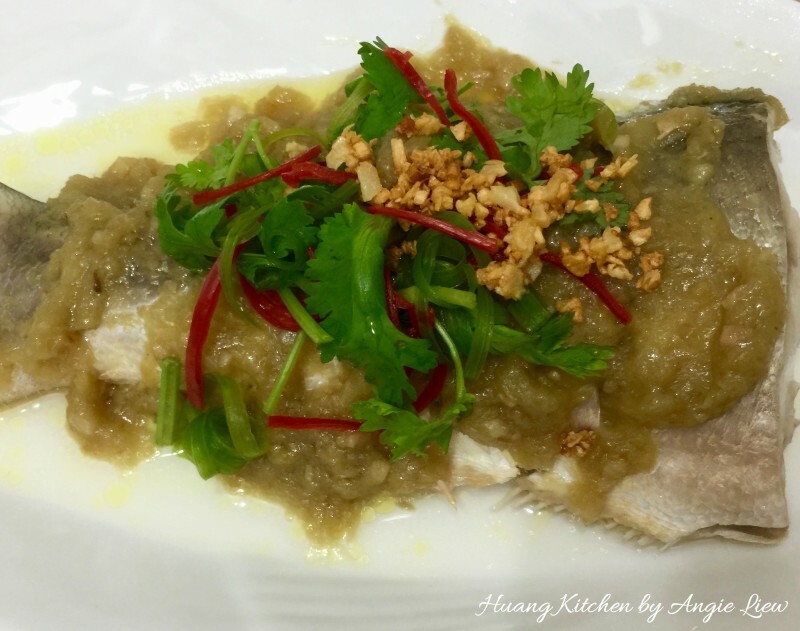 Garnish with green coriander leaves, spring onion and red chili. Steamed fish is best served hot. 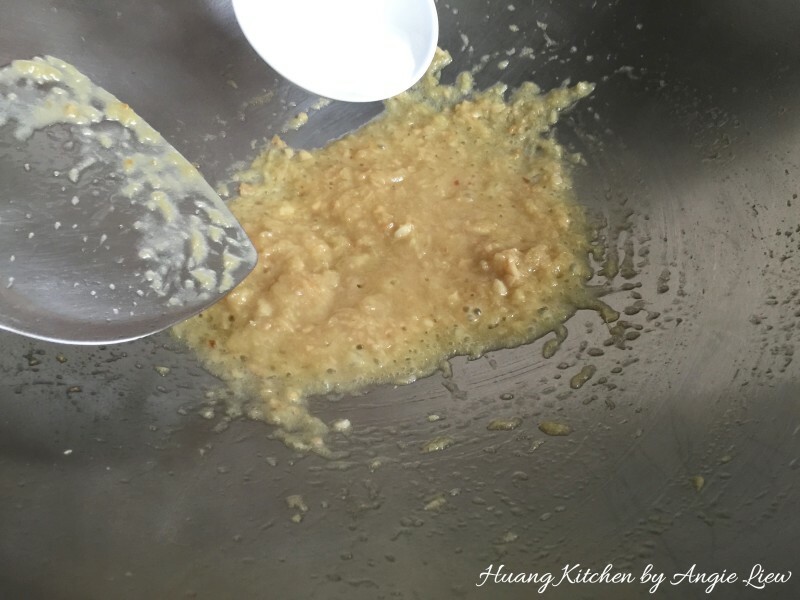 So immediately serve with a bowl of hot steamed rice. So enjoy! 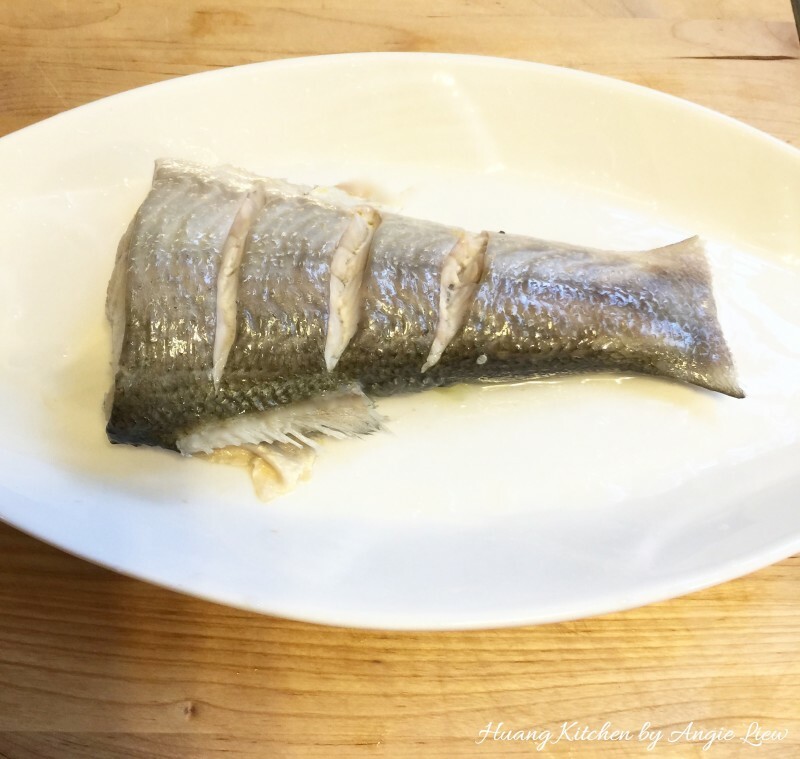 The liquid in the dish resulted from steaming the fish is usually quite fishy so it's best to discard it and add new seasonings on the steamed fish. 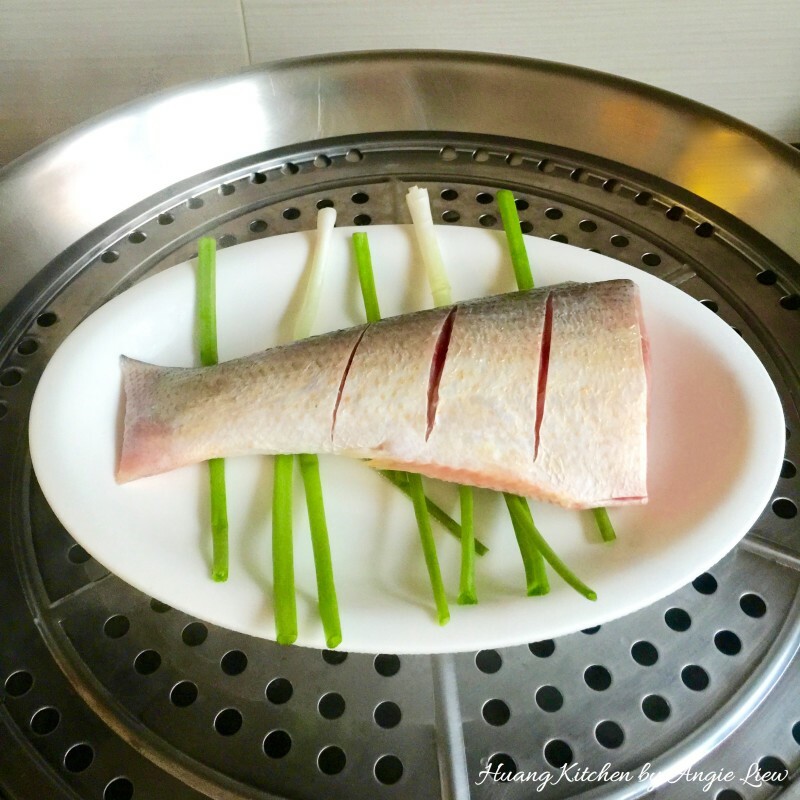 It is important to bring the water in the steamer to a boil before you put the fish in. Steamed fish should be just cooked and not dry. Always use a fish that is really fresh for this dish.